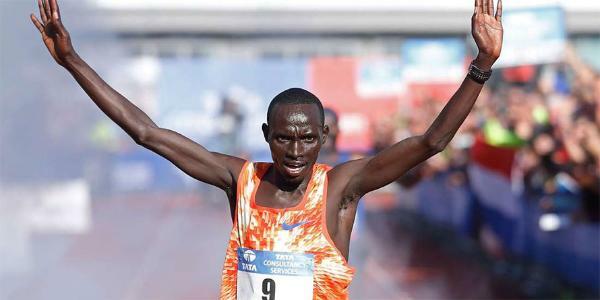 Kenya’s Lawrence Cherono has retained his Amsterdam Marathon men’s title in a personal record time of 2:04:05, 63 seconds better than his 2017 time record. The second spot was taken by Ethiopian Mule Wasihu who clocked 2:04:36. Solomon Deksisa also from Ethiopia was the third. “The weather was good, the wind slow and we had to run faster than last year. I thank God for giving me this talent and I hope to be here once again next year,” Cherono said. Tadelech Bekele of Ethiopia retained her women’s title, clocking 2:23:07 ahead of her teammates Shasho Insemu (2:23:13) and Azmera Gebru (2:23:31) in an Ethiopian 1-2-3.